The Pledge Guarantee for Health hopes to cut through distribution lag-time and save thousands of lives in the developing world. With the help of the private sector, the UN is making progress toward getting life-saving health supplies to aid recipients much faster. Pledge Guarantee for Health (PGH) is a new lending initiative that ropes in banks and other private sector players to help make financial loans to governments when they need re-stocking of supplies and when their next shipments are months away. 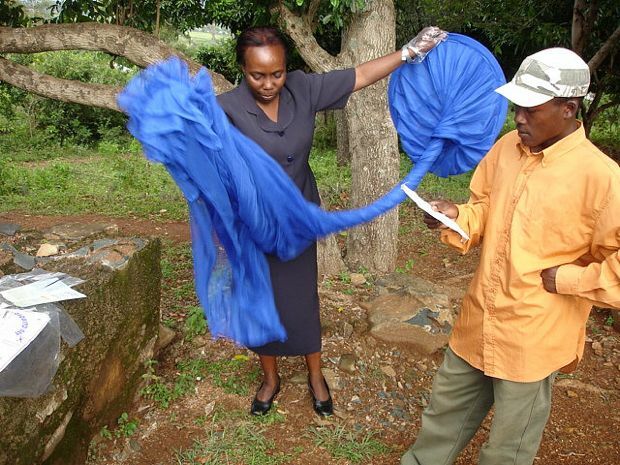 PGH announced this week that an early distribution of 800,000 malaria-fighting, insecticide-treated bed nets to Zambia was made possible by the new partnership. The timing couldn’t be better–the peak rainy season is nearing, when malaria rates rise. “What makes this innovative is we are banking aid contracts, risk-sharing with the private sector, building a guarantee pool designed to increase health impact and procurement efficiency, and doing risk analysis on financing processes that have never been done before,” UN Foundation Executive Director Kevin Starace tells Fast Company. In the case of Zambia, a process that normally takes 32 weeks from donor approval to delivery of supplies was decreased to six weeks. “We bring a third party guarantee (the Bill & Melinda Gates Foundation) to commercial banks, and use letters of credit and other bridging instruments to reduce the time between when aid money is approved and when it gets to a recipient (when procurement can begin),” says Starace. We’ve previously noted the particular challenges involved with lag-time in aid distribution. Now it seems the world’s leading humanitarian players are catching on. The distribution in Zambia this week coincided with a meeting in Washington, D.C., of international development heavy-weights where the focus was innovation (just as it is in the U.S. right now).